Recipe for disaster: Mix money from demons like George Soros with half-brained snowflakes, stir briskly, and you get this!…. “Another week, another series of demonstrations by opponents of President Donald Trump,” crows CNN. Protesters in cities across the country took to the streets on Monday for “Not My President’s Day” rallies with a strong anti-Trump message. Olga Lexell, who was one of about 20 people who helped organize the events in Los Angeles, Chicago, and New York, said they were intended to show Trump there was widespread opposition to his policies and “ridiculous” executive orders. “A lot of people are angry because he lost the popular vote and is ruling like somebody who won by a landslide,” Lexell said. 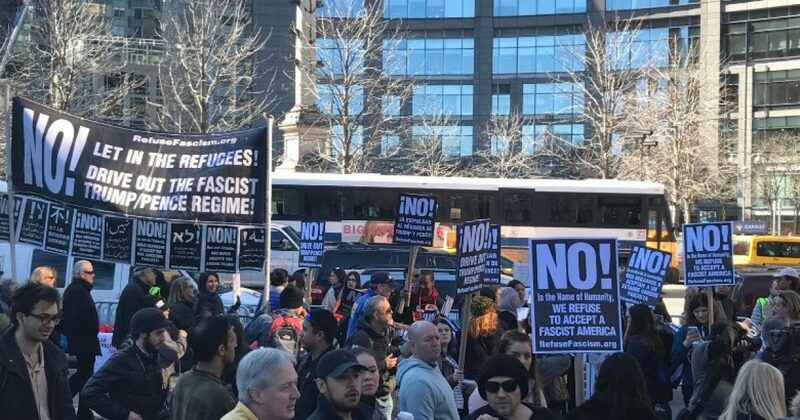 In New York’s Columbus Circle, protesters held signs with a simple message — the word “No!” in different languages.